Also serving communities of Beaumont, Cherry Valley. There are 7 Assisted Living Facilities in the Banning area, with 5 in Banning and 2 nearby. The average cost of assisted living in Banning is $2,800 per month. This is lower than the national median of $3,346. Cheaper nearby regions include Hemet with an average starting cost of $2,477. To help you with your search, browse the 31 reviews below for assisted living facilities in Banning. On average, consumers rate assisted living in Banning 4.0 out of 5 stars. Better rated regions include Yucaipa with an average rating of 4.1 out of 5 stars. Caring.com has helped thousands of families find high-quality senior care. 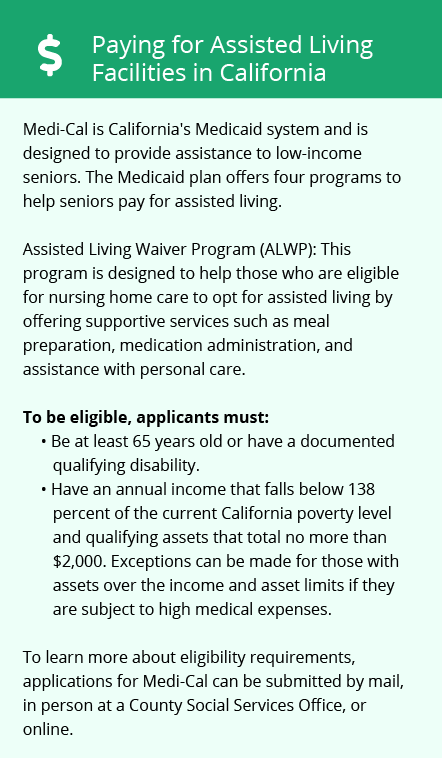 To speak with one of our Family Advisors about assisted living options and costs in Banning, call (855) 863-8283. Banning is located in Riverside, California, just south of the Angeles National Forest and San Gorgonio Mountain. The area is known for having small-town charm with big-city conveniences. A little more than 31,000 residents call Banning home, and more than 26 percent of those residents are over the age of 65. In California, facilities that provide seniors with assisted living services are officially known as Residential Care Facilities (RCFs). There are five RCFs located in Banning, as well as one nearby in Cherry Valley and another in Beaumont. Banning is home to world-class medical facilities, including San Gorgonio Hospital, in the event of medical emergencies or illness. Pass Transit offers fixed route and dial-a-ride public transportation to the area's residents, with reduced fares for seniors. An array of community resources are available to seniors in Banning, including a Senior Nutrition Program, which provides a healthy, hot meal to seniors once per day, and one senior center. Violent crime rates are above the state average, which means that seniors may feel unsafe in the area. 4.77 violent crimes per 1,000 residents occur annually in Banning, while the state average is only 4.25 per 1,000 residents. State taxes in California are among the highest in the country, and most forms of retirement income aren't exempt. Seniors on a budget may wish to consider assisted living in other states. The overall cost of living in Banning is more than 20 percent above the national average, which is another reason seniors with limited budgets might want to consider assisted living in other locations. Assisted Living costs in Banning start around $2,800 per month on average, while the nationwide average cost of assisted living is $4,000 per month, according to the latest figures from Genworth’s Cost of Care Survey. It’s important to note that assisted living rates in Banning and the surrounding suburbs can vary widely based on factors such as location, the level of care needed, apartment size and the types of amenities offered at each community. 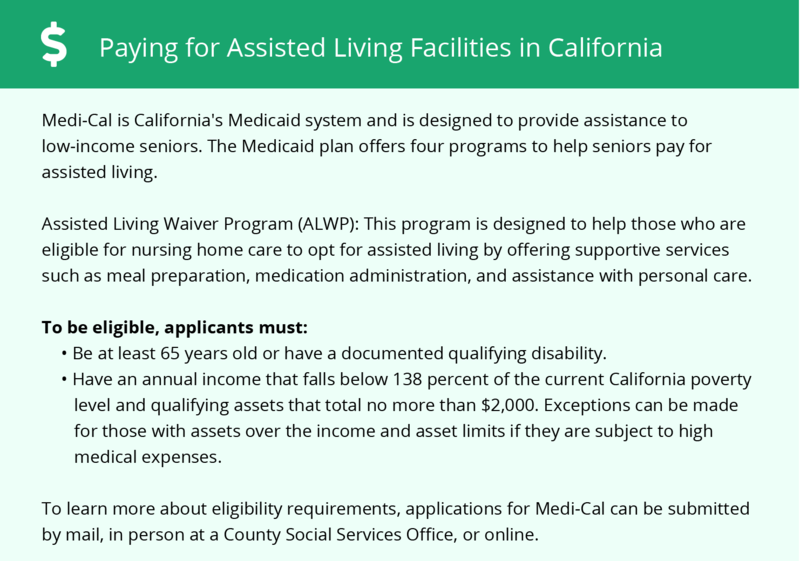 California's 1915(c) Medicaid Assisted Living Waiver helps eligible seniors pay for the cost of assisted living services provided in RCFs. Seniors who receive Supplemental Security Income can apply for an Optional State Supplement for additional financial assistance for other expenses, such as room and board. The state limits what RCFs are permitted to charge for room and board when residents are Medicaid eligible. Family supplementation isn't allowed in California. Banning and the surrounding area are home to numerous government agencies and non-profit organizations offering help for seniors searching for or currently residing in an assisted living community. These organizations can also provide assistance in a number of other eldercare services such as geriatric care management, elder law advice, estate planning, finding home care and health and wellness programs. To see a list of free assisted living resources in Banning, please visit our Assisted Living in California page. Banning-area assisted living communities must adhere to the comprehensive set of state laws and regulations that all assisted living communities in California are required to follow. Visit our Assisted Living in California page for more information about these laws.